1. 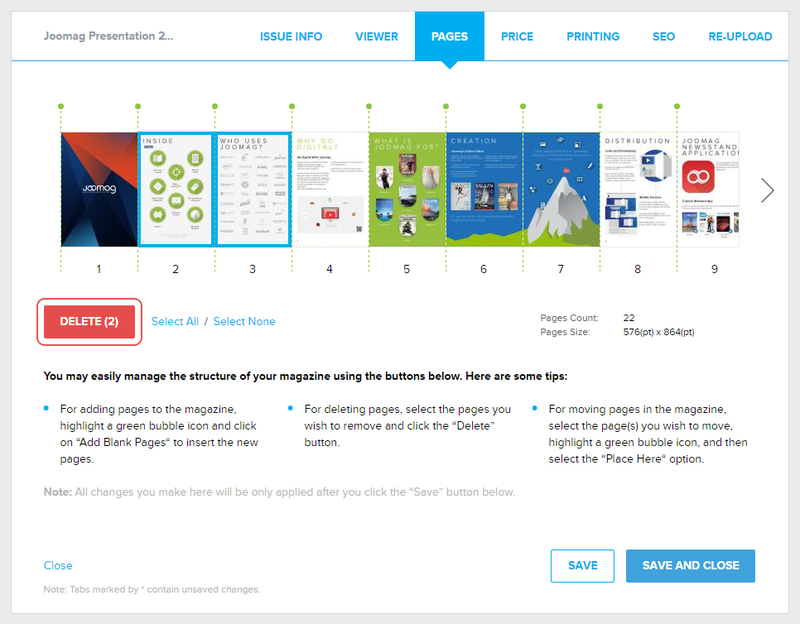 From My Publications page open the publication you wish and click the Edit Settings button of your issue. 2. Go to the PAGES tab from the top. Now select the pages you wish to remove and click the DELETE button. 3. After removing the pages click the SAVE AND CLOSE button. Learn more about adding and removing pages directly from the Crater Editor.